Vietnamese tourism is becoming more popular every year. Western travelers flock to this small, oceanfront country in Southeastern Asia due to its rich culture and affordable pricing. 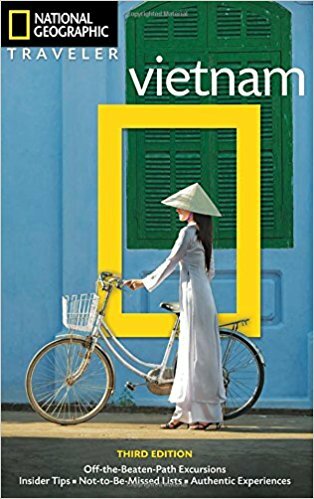 Even though tourism is on the rise in Vietnam and the surrounding countries, many travelers still don’t know what to expect when they arrive. Here are five of the most surprising facts about traveling through Vietnam. Traveling in Vietnam is very inexpensive. It’s so inexpensive that you can travel pretty comfortably with a budget of about fifty dollars per day – and that includes the cost of lodging. A standard hotel room will cost about $15 per day, a meal from a street vendor will cost about $1, museums and attractions in Vietnam’s bigger cities rarely charge more than $1 for admission, beaches are free to the public, even massages, day trips, and Vietnam tours won’t break the bank. Of course, there are definitely ways to spend extra money. Luxury hotel rooms, fancy dinner restaurants, personal tour guides, and motorbike rentals are also available in almost all of the major tourist destinations. If you think rush hour in the United States is bad, just wait until you see the traffic in Vietnam’s major cities. Most locals prefer to own motorbikes instead of cars due to their cost. Additionally, streets in Vietnam are notoriously complicated and traffic laws are rarely enforced. Minimum driving ages, one way streets, red lights, turn signals, and single lanes are usually ignored – as is the existence of sidewalks. Millions of motorbikes are on the road at any given time and rush hour literally never ends. Street food is an essential part of any trip to Vietnam. Major cities have thousands of street vendors selling every Vietnamese dish imaginable. 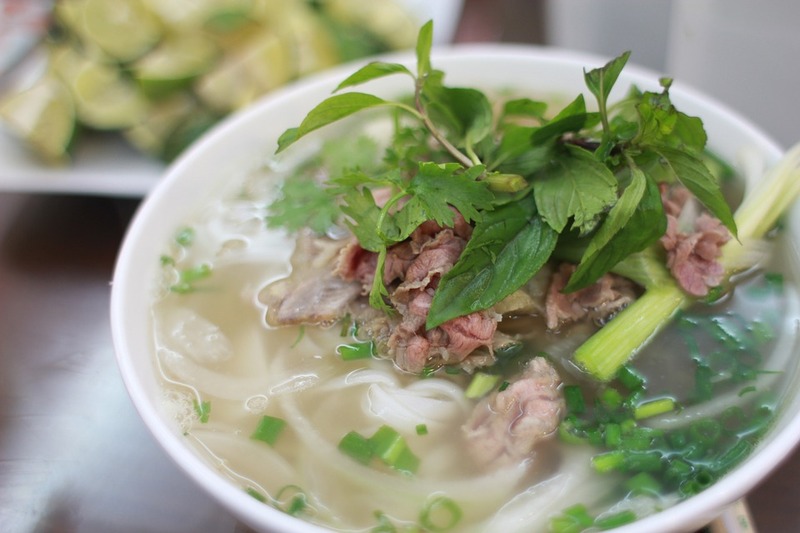 Pho is probably the most well-known fare, but spring rolls, meat sandwiches, broth based soups, and hundreds of other dishes are available for you to taste. The food is delicious – especially since it only costs a dollar or two – but it is the street food atmosphere that really makes these vendors such a huge part of Vietnamese culture; they are as much a place to gather and socialize as they are a place to get a quick meal. Vietnam has more to offer than cheap meals. It also has delicious coffee. The French introduced coffee to Vietnam, but since then it has taken on a life of its own. Vietnamese coffee beans are coarsely ground and placed in a press. Hot water is poured over the top and it trickles slowly through the beans, producing a very strong, flavorful brew. Typically, sweetened condensed milk is added to the mixture to make a drink commonly referred to “brown coffee” or “milk coffee”. Other coffee concoctions involve the addition of fruit, yogurt, egg yolks, or cashews. Each one is unique, so don’t be afraid to try a little bit of everything. The beaches of Vietnam are beautiful, but then the Son Doong cave is an even more impressive natural feature. 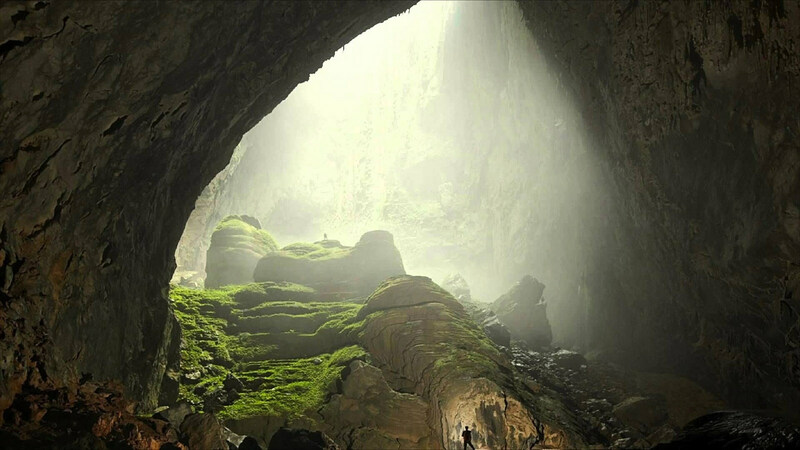 Son Doong contains the largest cave passage in the world – nearly double the size of the next largest passage. The cave is about five and a half miles long, but is punctuated by two separate placed where the cave roof has collapsed. These holes allow natural light and green growth to penetrate the cave, creating a stunning, eerie landscape. Size is not the only notable feature of Son Doong cave. Cave pearls the size of baseballs and the world’s tallest stalagmites also make their home in Son Doong. Tourist access to the cave is limited, but it can be explored with proper planning and prior reservations. Most citizens of foreign countries require a Vietnam Visa regardless of the purpose or duration of your trip. Find the cheapest flights to Vietnam by downloading the free Skyscanner app. 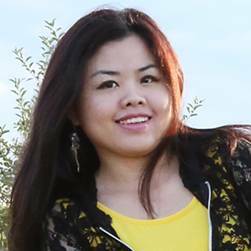 Victoria is the author and founder of How Daily, a food and how-tos blog. She loves to to share her recipes and culinary tips from her diversified experience of multi-cuture. She most interested in cooking and creating authentic and original taste from traditional recipe. Also check out for her work on bringing various dish through ingredient substitution and enhancement. 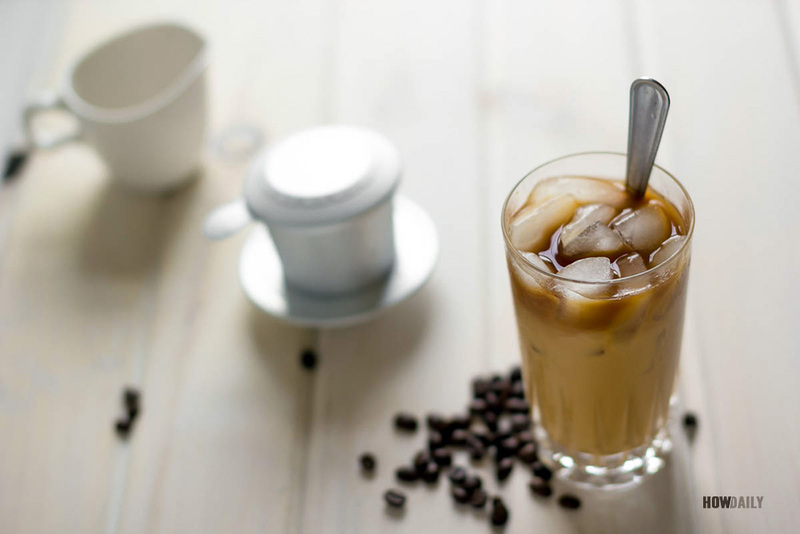 Photo credits: Vietnamese iced coffee by HowDaily. Song Doon by Nguyen Tan Tin. I loved Vietnam. But the traffic in Hanoi is crazy!! Not something I think I would drive in personally! But definitely an interesting scene to take in!! I’ve heard so many things about Vietnam, I can’t wait to go there one day and see what’s true and what isn’t. Yes! You should come one day. You’ll be in heaven of tropical fruits and all local street stands, they taste perfect. Ohh, I miss that super sweet coffee so much! Not the best option for those trying to keep a good figure, but delicious! I agree with the author: the traffic is terrible! We’ll go to Vietnam very soon, and i can’t wait to try all the street food and coffee :) Thank you forthose tips! Have an awesome day. 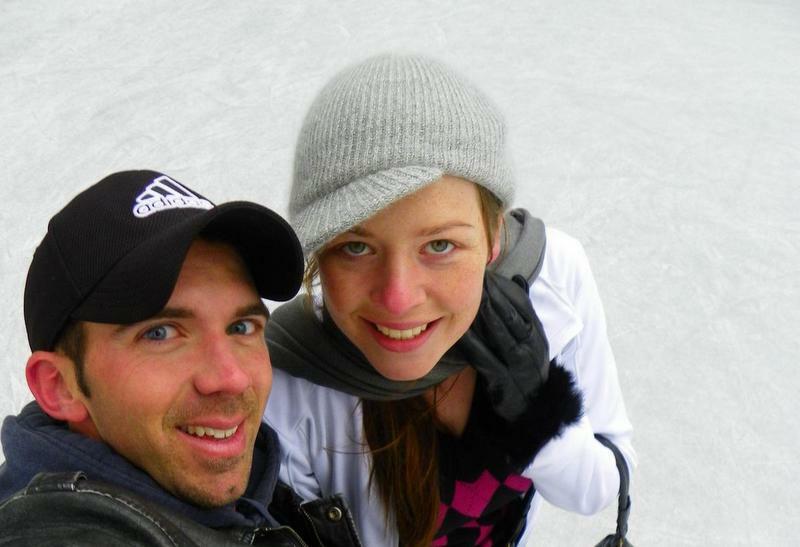 Have an amazing trip Tom! Vietnam is my favourite country in SE Asia. It’s so cheap to travel and I love the food and scenery! Awesome Chloe! Glad to connect with another Vietnam fan too! Vietnam is very inexpensive. I feel like you can easily live like a “Queen”. I also enjoy vietnamese food, like Pho. The scenery is also spectacular. I think you can stretch your money a lot, when you are traveling in Vietnam. Absolutely Karla – your money goes a long way which is amazing, and with such a diversity of attractions, from culinary to historic, and natural scenery, it’s a no brainer if deciding whether to go :D! I haven’t thought seriously about Vietnam, I have an image of chaos and that makes me nervous. BUT, I had no idea it is so inexpensive, that overrides chaos! Thanks for sharing your link – will check out your thoughts on Ha Long Bay – I’ve heard mixed reviews! Egg coffee definitely sounds interesting, I’ll have to give it a go when I eventually get there. 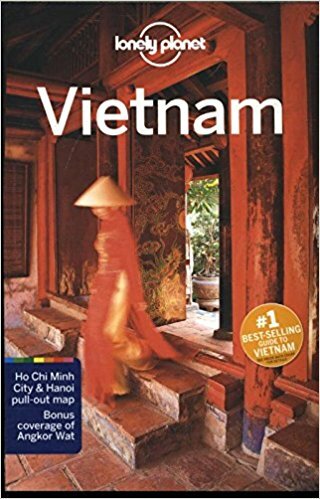 I’ve heard great things about Vietnam but sadly I didn’t have time to visit when I went to Asia earlier this year. I’ll definitely need to go back sometime! I’m dying to try Vietnamese food! Ah, maybe on your next trip :) Definitely the best place to find Vietnamese food :D! Glad you enjoyed the post :) Our niche is travel as opposed to home / lifestyle, so a guest post on green homes unfortunately wouldn’t fit. Thankyou though! Good to know that you can’t miss a coffee shop when exploring – looking forward to making it to Vietnam myself at some stage! We loved everything about Vietnam particularly Pho and their coffee. We loved the Pho at Phở Gia Truyền Bát Đàn. The line was long but it was really worth it. Their coffee is really amazing too. We even bought a few packs of coffee beans and a manual coffee grinder. Too bad we weren’t able to visit Son Doong Cave. It looks really beautiful and peaceful. Thanks Megan and Mike for the tip. We now have a reason to go back to Vietnam. Son Doong Cave definitely means you have an excuse to plan a return trip! You’re welcome, glad you enjoyed the post! 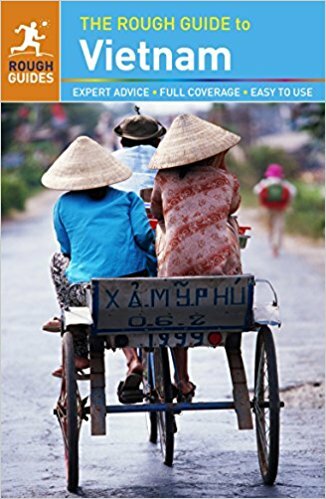 Yes, Vietnam is very inexpensive, so it should be very easy to budget for a trip. Happy travels! Great article! Vietnam tourism is very interesting. Many new and wonderful destinations. Besides food in Vietnam is very diverse and especially very delicious. But the cost to travel in Vietnam is quite cheap. What made me most unhappy was the traffic problem, it was quite crazy. Glad you enjoyed the post Zenni! Vietnam tourism really is so interesting, but yes you’re right on the traffic being a bit of a problem!! Has to be some of the most hectic in Asia!! I’d like to add the currency is confusing. So many different notes and several look the same. Plus there are a lot of zeros! Definitely puts your math skills to the test!